If your home building business doesn't already have a website, now is the time to build one. Your website will not only serve as a lead generation tool, but it is also your virtual office and showroom. You need your company's website to show off any previous work you've done. Much of the home buying process is visual, so images are very important to marketing your business. Your website is a great place to keep a portfolio of your past projects so that potential customers can see your skill and expertise. Creating content is also a great way to increase your company's exposure. Making a blog about related topics like home improvement tips, DIY projects, or guides to choosing the right home builder can help drive traffic to your site. Using search engine optimization (SEO) and keyword research can help your website rank on popular search engines like Google and Bing, and thus, increasing your company's visibility. Once you've established a functional website, you can drive further traffic to it through social media marketing. Create social media accounts for your home building business on platforms like Facebook, Twitter, Instagram, or Pinterest. On these social media sites, you can share your blog posts, show work you've completed (i.e. walkthroughs of clients' homes), and receive positive reviews from happy customers. You can also place ads for your services on social media as paid ads help increase exposure. They are also targeted to a user's specific needs and interests. 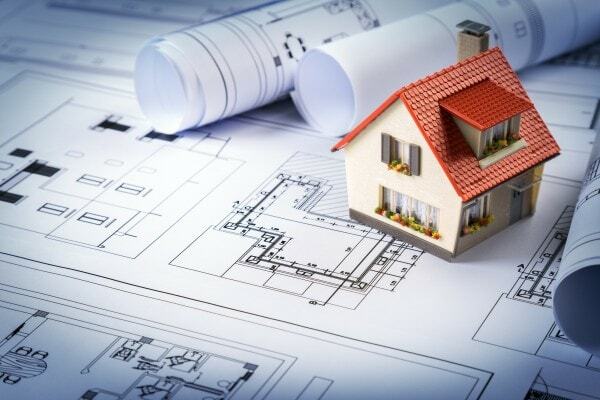 For example, a potential customer has been searching the web for home builders in their area. They use Facebook frequently and as they scroll down their feed, they see an ad for your home building business. Targeted ads are very effective in generating leads as they are specifically tailored to a user's search intent and interests. Websites that are specifically for home builders and other home professionals are great for marketing your services because this is where your target audience spends a lot of time. Websites like Houzz and the National Association of Home Builders (NAHB) help connect home builders with customers. On Houzz, you can post a portfolio of your completed projects. You can also post your company's specialties, years in business, and other qualities that could set you apart from your competitors. NAHB helps consumers find credentialed home building professionals. Also, because the site has a high domain authority, placing your website's link can boost your search engine rankings. If you want to effectively advertise your home building business and generate more leads, your business should be listed on Google, whether it's Google Maps (if you have a physical location) or Google My Business. These strategies will help increase visibility when someone performs a Google search of a keyword you use. This is especially helpful if your website hasn't been ranked yet in the search engines, as these results don't depend on search engine rankings. Are you looking to build a new website or even redesign an old one? At Hello Digital Marketing, we can help you grow your business with our digital marketing services. Contact us today to learn more!